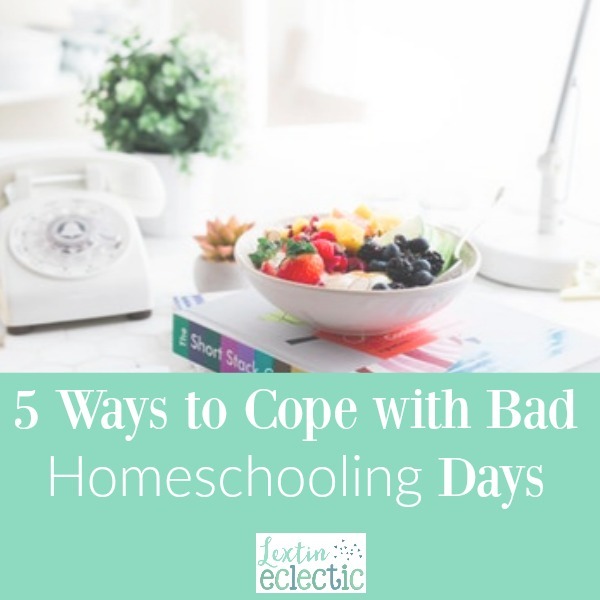 Today is the first post in my new blog series – Homeschool Reality Check. This is for all the moms who started out the semester strong but feel the energy starting to wane. Or maybe you didn’t have a particularly strong start to your year and you’re in serious needs of some tips and encouragement. Well, you’re in luck, because my wonderful friend Jen from Practical by Default has some great advice for you. I don’t know about you but I get so excited to start a new year of school. New books. Fresh boxes of Crayons (love that smell!) and notebooks that have never been cracked open. Ah…bliss! The kids are excited and ready to go. We dig in! I overhear giggling and sharing of books as I work. Life is good. “Homeschooling is AWESOME!” We shout loud and clear to anyone and everyone who ever doubted us. Sometimes I wonder who I am trying to convince-them or me? The truth is. It is awesome. Most times. Sunshine and rainbows. Then there are the “other days”. You know, the one where most of us sweep it under the rug and pretend it never happened. Even though my kids are teenagers we still have days where I swear one of us isn’t going to make it and I am pretty sure it is going to be me. The days where I drag them out of bed. When they argue over every. little. thing. I hear grumbles over who stole the pencil from the other. The pencils are the exact same, how can you even tell?? As a busy working homeschool mom, I don’t really feel like I have time to deal with a day where the kids are not only at each other’s throats but decide it is time to play “let’s not do any school work”. We all have bad days. It’s gonna happen. It’s how you cope that matters. I want to share with you a few tips and tricks I’ve learned over the last 10 or so years to help me cope and get back on track. 5 ways to Cope with the Bad Days and get back on track. Identify who is the problem: Them or me? Sometimes I am the cause of the problem. When I am cranky, just got home from a bad day at work, under caffeinated or under stress, I can be short tempered or worse – expect my kids to read my mind. Yes, it is true! I’ve asked more than once why a lesson I assigned in my head wasn’t completed! Oops! So when I feel my skin start to crawl with annoyance I first take a break. Grab a cup of coffee. I only call about 5-10 minutes. I use these few moments to re-assess. If it is me. I try to find ways to unwind. I write a “must do” list of no more than 3 things to focus on. Everything else gets put aside until school hours are done. These few minutes, coffee and a new to do list are usually enough to make me feel oh so much better. If it is them I move on to the next step. Next, I quickly run through the last time we ate. Hangry is a thing! At work, my boss has actually sent me on a break to eat. She says I get cranky. LOL I know I feel this way the kids probably do too! After the break, I grab a quick snack, drink of water and we sit around the table. It doesn’t have to be anything fancy. Crackers, cheese, fruit, yogurt whatever you have on hand. Keep it simple. Food and the break are usually enough to get us back on track. When my kids start complaining that he is breathing on me I know they have spent too much time “together”. Being together is great…until it isn’t. As an adult, I need my space. To breathe. To work. To Move. Without someone always looking over my shoulder. As much as we love doing school at the table once in awhile we need a break. I move one “volunteer” to the living room and one in the kitchen. Space and no more fighting over the center of the table. When the resistance and bad attitude is aimed at a subject and then spills over to a person it is time to action. I have a rule in place. When the kids are stuck they are to go back to the instructions be it video or text and double check that they understood what they were asked to do. Even my teenagers tend to skim instructions or walk throughs with the “I know it attitude” only to find out they missed a key step in understanding what was asked. Pausing in their work and going back to rewatch the video or re read the text to make sure they understand helps them overcome frustrations. Once they get that part sorted they can usually move on. I’m going to be honest this is the last resort in our house. Otherwise, the children will figure out if they make a big enough stink they can stop school for the day. I think over 10 years we’ve done this twice. When our bad day ends up being a combination of any or all the above it is time to step back and see the big picture. Sure in real life you can’t just walk away from your job and say, “Sorry I can’t even” today. However, these are kids. They aren’t in the workforce yet. On days where I just can’t seem to get us back on track we close the books. We put away school and we do something different. It might mean a nature hike or a board game. It might mean quiet time alone in our corners. It might mean I settle in to hit those deadlines while my son works on his book and my daughter bakes. The next day we pick up where we left off. No biggie. Homeschooling is awesome. There are the good days, the great days and the “other days”. Enjoy the good stuff momma and have a plan for the “other days”. When things get rough, hug your kids and remember-tomorrow is another day. I help working parents balance work and homeschooling by providing encouragement, support, and inspiration. You are warmly invited to read more on my blog at Practical by Default.